Very unique opportunity to own a free-standing condo with no shared walls with other units except the laundry room at the end of the building! This 2 bedrooms and 2 full bathrooms unit offers a single family home feel with all the condo amenities. The open floorplan features a generous living room w/ fireplace, a separate dining area w/ pendant lighting, and a spacious kitchen w/ laminate counter tops, gas cooktop, refrigerator, dishwasher & window over the ss sink. Other features include oak hardwood floors, central A/C, recessed lights & dual pane windows throughout. The private backyards w/ a beautiful patio makes for an entertainers delight and the community pool is the perfect place to relax in those summer days. 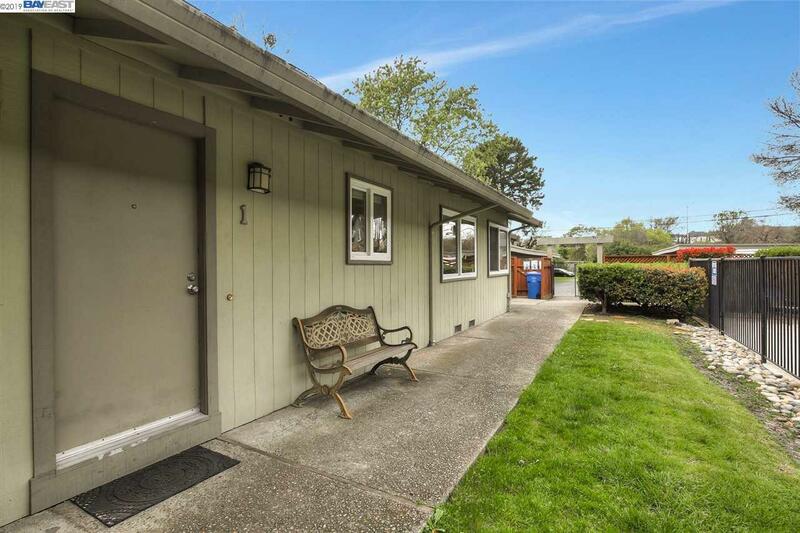 Perfect location close to downtown, shopping, restaurants, Club Sport, Iron Horse Trail, and 2 great regional parks – Briones and Mount Diablo w/ miles of trails and gorgeous views. Bart Station, Hwy 680 and 24 w/ convenient commute to San Francisco and all the East Bay.